It’s been so windy here that it dries out the garden. 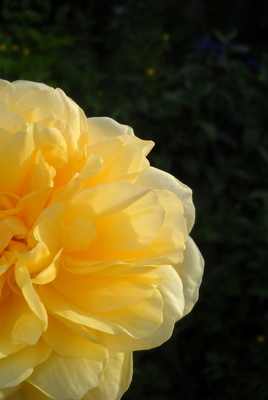 Last night, I was out watering and had a nice surprise in the bottom of the garden– my first roses of the season. The one that has the best scent is actually the one that looks the least photogenic. There may be a life truth in there somewhere..
By the way, our daughter had a great time on her kayak trip and is home safely.